Zapaleri is a peak on the triple point of the Chilean, Bolivian and Argentine borders, easiest to access form the Chilean side. 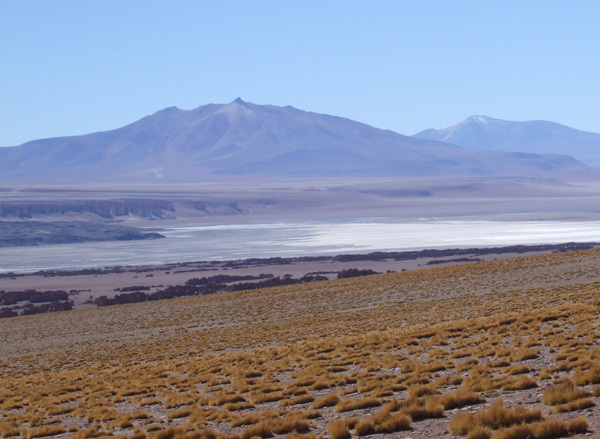 Zapaleri and the Salar de Tara from, Chile. We can organise guided ascents and mountain bike descents of this peak. For details of how to climb neighbouring peaks please see our guidebooks, which are available in English, Spanish, Polish and French editions, direct from us or from all good bookshops and mountaineering shops.